IRICoR’s value-added process is based on identification, support and management of high-potential projects with a clear path towards commercialization. This process is advantageously complemented by dedicated intellectual property (IP) building activities. IRICoR develops IP strategies aimed at generating high quality IP assets with a clear path towards clinical development and market potential. This includes proprietary compounds identified by proprietary enabling tools as well as animal models for the establishment of pre-clinical proof of concept. Existing IP, including know- how developed by IRIC/UdeM scientists, belongs to and is controlled by UdeM (through IRICoR as its authorized agent, according to Politique de l’UdeM sur la propriété intellectuelle). For novel IP generated jointly by IRIC/UdeM scientists and a collaborator’s personnel during the course of an IRICoR- funded project, UdeM and the collaborator (institution or company) are co-applicants on the related patent applications. IP protection is mainly done through patenting but unregistered assets such as know-how linked to methods and cell/in vivo models are valued as well for an additional competitive edge. 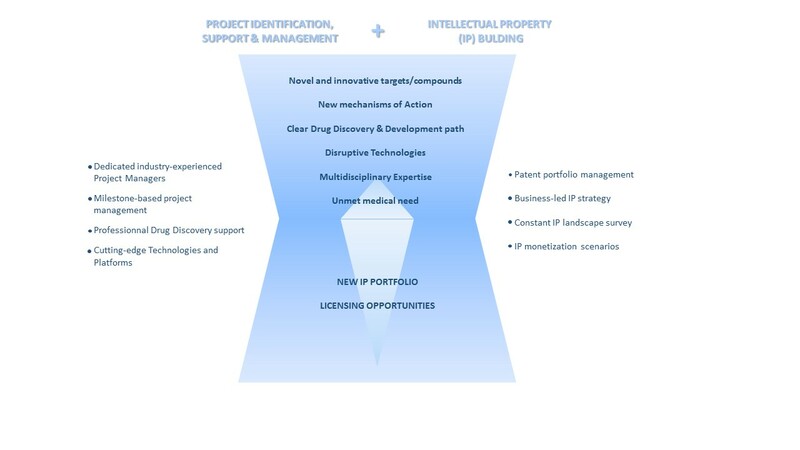 Step 3: exploring various licensing opportunities including a license for the pre-clinical/clinical development of a project to a strategic partner or the possibility to license part of IP (e.g. enabling technologies) to non-competing industries and create alternate revenue streams. IRICoR has the flexibility to continue prosecution of UdeM Background IP alone or with industry partners if there is mutual interest, thus keeping the possibility to maintain its position and be able to strategically grant non-exclusive licenses on the matter.